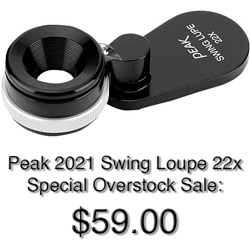 Puncher and Holder is a convenient accessory to be fitted to Loupe 8x. It used for viewing and checking 35mm developed film and color slides. It is non-efficient and troublesome operation to determine the quality of a long roll of film by visual inspection and to affix marks using magic ink or scissors, but if you use a Loupe 8x equipped with this puncher and holder, you can depress the puncher and give a V-shaped cut to the film perforation, while you are viewing the film. Fit its surface, on which a push-button for marking is mounted in a slanted state, to the bottom of the Loupe 8x and you will be able to view and check roll of film. 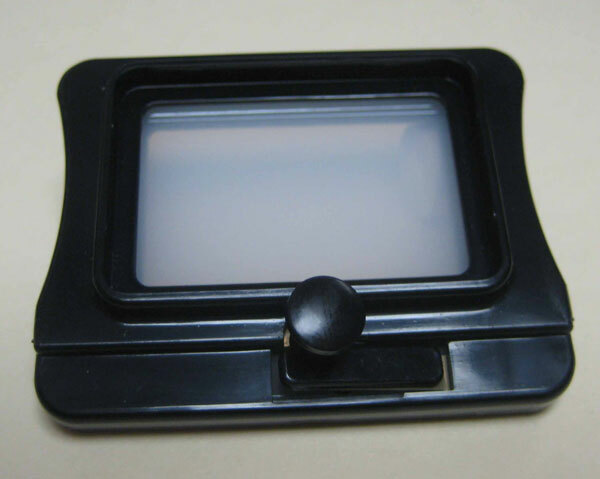 Fit its reverse side, which has grooves for inserting a slide mount, to the bottom of the Loupe 8x and you will able to view and check the slide.